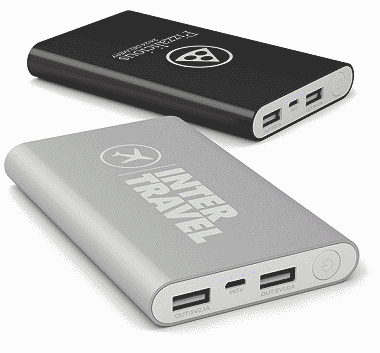 We're talking power, 8000mAh of charge. 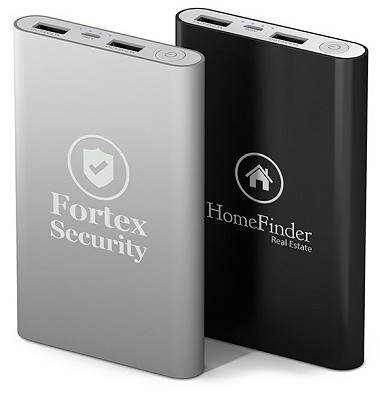 A powerful dual output power bank printed with your logo for a fantastic branded gift. 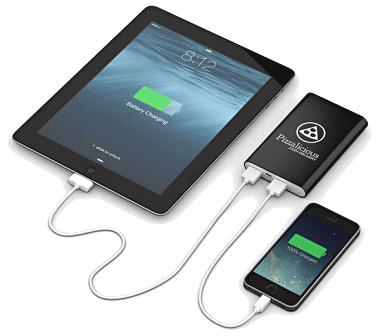 Ample power to charge your smartphone or iPhone and more than half charge a big iPad or tablet simultaneously. 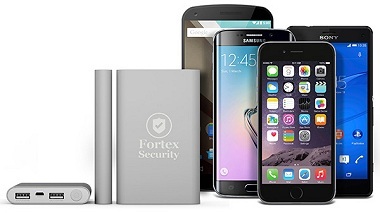 Features battery charge level indicators and intelligent charge management system that adapts to any device to provide a full charge quickly.